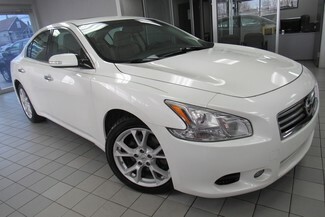 2014 NISSAN MAXIMA SV, NO CREDIT, BAD CREDIT, COLLECTIONS, MATRICULA, CASH PAYING JOBS, PREVIOUS BANKRUPTCY, REPOSSESSION, FIRST TIME BUYERS? NO PROBLEM! WE HAVE THE BEST DEALS ON WHEELS! PLEASE CALL SALE AT 773 286 0400 ?